I had this FS Hino before my Mack, had to work hard but a good reliable truck in general, the Fuso is from 25 years ago I drove a similar one. Hi Ray, thanks for that, the Fuso's then had a v8 I think they were about 16 litres at 285hp but no torque, but comfortable, affordable and reliable back then. They had a 13 spd roadranger, fuso back end. 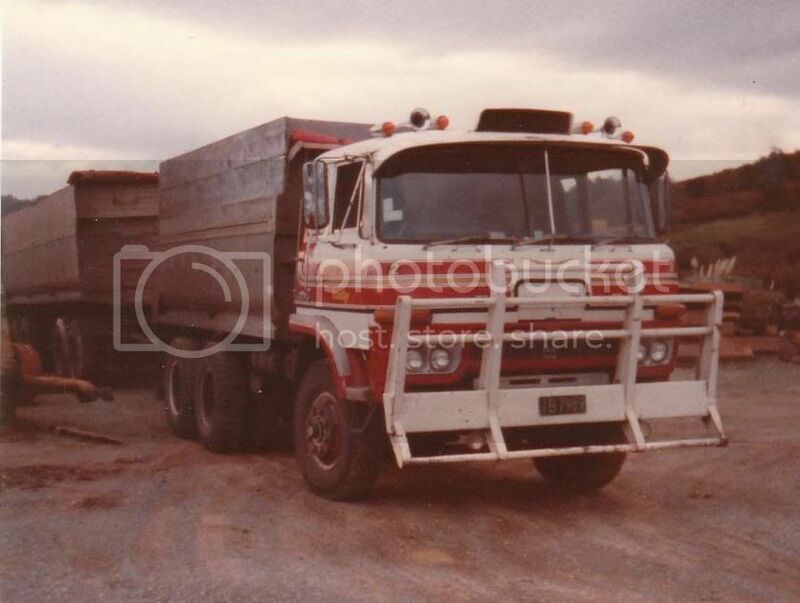 This one had the bin side extensions for carting coal on an off road job at the time grossing around 60 tonnes or more. wow nice pic Sir, I like that old Hino. Did you like driving that truck?Or would you have preferd a US or EU build truck? ? Yes, the old one looks tough for sure! Never seen any big Japanese trucks like this here in Norway, the closest I've gotten are some Mitsubishi Canters that the bakery I once drove for, had. Two fo them were 12 tonners, and had i-6 engines that sounded good, and had quite a bit of HP, but again, no torque at all. Low torque seems to be a characteristic of Japanese diesels. They were/are okay, my preference is American trucks.